The graves of Ásíyih Khánum and Mirzá Mihdí within the Monument Gardens. Ásíyih Khánum (Persian: آسیه خانم‎‎‎ 1820 – 1886) was the wife of Bahá'u'lláh, the founder of the Bahá'í Faith. She is viewed by Bahá’ís as the paragon of a devoted mother and wife. She is also known by her titles of Navváb, the Most Exalted Leaf, Búyúk Khánum or Hadrat-i-Khánum. Khánum is a title usually given to a Persian lady and is equivalent to madam. Bahá’u’lláh and Ásíyih Khánum were known as the Father of the Poor and the Mother of Consolation for their extraordinary generosity and regard for the impoverished. Bahá'u'lláh, along with Ásíyih Khánum and her children, are regarded as the Bahá'í holy family. Wedding certificate of Bahá'u'lláh and Ásíyih Khánum (1835). Ásíyih Khánum was born Ásíyih Yalrúdí the only daughter of Mírzá Ismá’íl Yalrúdí, the vazír or minister. Ásíyih Khánum was born in Mazandaran, Persia to a wealthy noble family. Her father Mírzá Ismá’íl was a minister in the court of the King of Persia and highly influential and wealthy. She had one brother Mírzá Mahmúd who did not become a Bábí or a Bahá’í. Little is known about the early life of Ásíyih Khánum. This is mainly due to the fact that contemporaries did not care for the maternal side of families concentrating more on the males – hence the name of her mother is unknown. What can be assumed however is that the young Ásíyih Khánum was educated well, learning to read and write in Persian and Arabic. More information is known about her after her marriage to Bahá’u’lláh. In 1832 her eldest brother, Mírzá Mahmúd, was wedded to an elder sister of Bahá’u’lláh; Sarah. Sarah Khánum was very close to Bahá’u’lláh and was gratified with evidence of her beauty, piety and kindness. She quickly devised a plan to marry the two together. Mírzá `Abbás Núrí (father of Bahá'u'lláh) accepted perhaps enticed by the huge dowry which included three servants, large piece of land, property and a huge sum of money. The betrothal was then made official. For the young Ásíyih marriage would have meant a new-found freedom, something which ladies in nineteenth-century Persia could only find through marriage. In her youth she was lauded for her beauty being described as "tall, slender, graceful, eyes of dark blue" "slender, stately…with white skin and blue eyes and dark hair" and "winsome, vivacious and exceedingly beautiful". In October 1835, the fifteen-year-old Ásíyih Khánum married Bahá’u’lláh in a grand and sumptuous ceremony with the buttons on Ásíyih Khánum’s clothes as jewels, these jewels were later sold to provide for food for the family during the persecution of Bábís in 1852. The early years of the marriage were apparently happy, according to Bahá'í texts, living a life of luxury; with Ásíyih and Bahá’u’lláh occupying themselves with philanthropy though naturally Ásíyih only helped the women and young children. The marriage resulted in seven children: Kázim, Sádiq, `Abbás, `Alí-Muhammad, Bahíyyih, Mihdí and `Alí-Muhammad. Only three survived to adulthood all of whom were deeply loyal to their mother. Ásíyih Khánum was very close to her children, and took active participation in their upbringing especially `Abdu'l-Bahá. The three surviving children of the couple were `Abbás, entitled the Most Great Branch, who later took the epithet `Abdu'l-Bahá. Bahíyyih, entitled the Greatest Holy Leaf, and known as Bahíyyih Khánum and Mihdí, entitled the Purest Branch, and known as Mírzá Mihdí. The oldest of these: `Abbás, married in 1873 to Fátimih Nahrí and had nine children. In her youth Bahíyyih chose to remain unmarried so therefore she had no children. Mihdí died at the age of twenty-two unmarried. All in all Ásíyih had nine grandchildren with only four surviving to adulthood. In 1844, Bahá’u’lláh heard of a new faith Bábism and accepted. 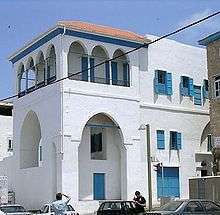 At 23, Ásíyih Khánum accepted the faith and their family became one its most prominent members. The Núrí family lived in the capital Tehran or sometimes Mazandaran – the norm of upper-class Persian families. She was aware of the plight of many of the Bábís and even was a close friend to Táhirih whom she entertained in her private parlour. On 15 August 1852, a radical group of Bábís attempted the assassination of the Shah and failed. The group of Bábís linked with the plan were rounded up and killed, and, notwithstanding the assassins' claim that they were working alone, the entire Bábí community was blamed and a general pogrom of the Bábí community was started by the Shah. Ásíyih was not spared. Her home was looted, its possessions were taken away and she was left in practical poverty. From being one of the most wealthy and influential families of Persia to penury in one night left a mark on Ásíyih for the rest of her life. Mirzá Mihdí, the youngest and favourite child of Ásíyih. In 1852, her husband was arrested because of his Bábí faith. Her home was looted and the family were left in destitution. According to her daughter, Ásíyih would go the home of her aunt to find any news of Bahá’u’lláh. She lived in constant fear in case Bahá’u’lláh would be executed, seeing one Bábí being taken from the Síyáh-Chál and killed every day. She sold parts of her dowry and used them to bribe guards to give food to her husband. An edict arrived banishing the family to Baghdad. On leaving, no-one came to say goodbye save the "grandmother of Ásíyih Khánum". She reluctantly left her favourite child, Mihdí, in her care. When her husband was exiled in the freezing January 1853 she accompanied him becoming his closest companion and confidante. As a young woman exiled, she was ill-prepared for her journey finding the exile hard and demanding "young as she was and unaccustomed to sorrow". She was pregnant when exiled in January 1853 – causing her much difficulty. However, she stayed quiet about her problems in order not to upset the demoralized exiles. Bahá’u’lláh decided to retreat to Kurdistan and left his two brothers Mírzá Músá and Subh-i-Azal to care for the family. The latter was often cruel to the family and when Ásíyih’s baby needed a doctor he forbade her from getting one. The child, born in Baghdad whom she named `Alí-Muhammad after the Báb. He died around 1855 at the age of about two, affecting her greatly. Her daughter explains: "the sweet body of our beautiful baby was given to a man, who took it away, and we never knew even where he was laid. I remember so clearly the sorrow of those days". When her husband left Baghdad to live in solitude she knelt greatly for support on her son and daughter and the three became inseparable. The period in Baghdad was extremely painful for the delicate Ásíyih Khánum; the exile, the separation from Mihdí, loss of her child and separation from her husband left her emotionally and physically drained. The family were subsequently exiled again to Constantinople in 1863. During this period Ásíyih consoled herself with knowing her husband was with her, but according to her daughter she was also petrified knowing that at any time she could be separated from him "as though a sword were hanging over our heads". It was during this time that her daughter grew into a beautiful seventeen-year-old and began emulating her mother. She implored her parents, father in particular, to remain unmarried. According to Bahá'í sources, her mother gladly accepted this request and the two became constant companions. Shortly after the arrival in Constantinople they were exiled to the remote Adrianople. The journey was an exhausting and wearisome one during the bitter winter. The cold winter took its toll of Ásíyih and she fell gravely ill. The five years in Adrianople were also unhappy. After Bahá’u’lláh almost died, the family were beside themselves with grief. Ásíyih and her children were then told that they would be all exiled to different places away from Bahá’u’lláh, she became so grievous that for a few days she neither slept nor ate. It was, according to Bahá’ís, through the intercession of `Abdu’l-Bahá that the edict was scrapped and the family all exiled together. 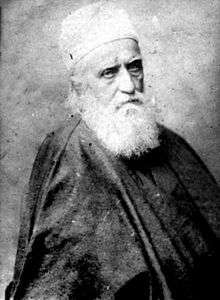 A royal command was issued in July 1868 condemning the Bábís/Bahá'ís to perpetual imprisonment and isolation in far-flung outposts of the Ottoman Empire — Famagusta, Cyprus for Mirza Yahya and his followers, and `Akká, in Ottoman Palestine, for Bahá'u'lláh and his followers. Again and for the last time the family were exiled to the prison city of Acre, Israel. This was by far the most devastating place the family had been to . Accompanying her was her 24-year-old son, her 21-year-old daughter, her twenty-year-old son Mírzá Mihdí and her husband. A band of companions also accompanied. The Bahá’ís arrived in July in the heart of the summer, and when arrived where all seasick. The inhabitants of Acre were told that the new prisoners were enemies of the state, of God and his religion, and that association with them was strictly forbidden. The aggressive public was jeering and throwing abuse. She was greatly distressed by this and almost all of the exiles fell dangerously ill. Her husband and she depended emotionally on each other during this difficult period. The period was distressing for Ásíyih Khánum, as it was for many of the Bahá'ís, due to the death of three Bahá'ís and hostile behavior of the surrounding population. The Bahá’ís were imprisoned under horrendous conditions in a cluster of cells covered in dirt and sewage and not given sufficient food for three days. 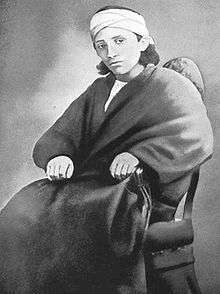 The most devastating circumstance for Ásíyih was probably the death of her youngest and favourite son; twenty-two-year-old Mihdí. The site was painful for the onlookers, who witnessed the dying Mírzá Mihdí, covered in blood, hold out his arms to his mother. On witnessing this Ásíyih made an agonizing sigh and lost consciousness to the consternation of Bahíyyih Khánum. His death caused her much pain – so much so that her family feared for her life. According to Bahá’ís the disconsolate Ásíyih was helped by Bahá’u’lláh who assured his wife their child was in heaven. Bahíyyih Khánum gathered and kept her brother's blood-stained clothes after he died in 1870. Shoghi Effendi has described her as having "continued to evince a fortitude, a piety, a devotion and a nobility of soul". `Abbás Effendi, Ásíyih Khánum's eldest son. In 1870, restrictions were eased for the family and they were moved from the prison. As the people of Acre started to respect the Bahá'ís and in particular, `Abdu'l-Bahá, `Abdu'l-Bahá was able to arrange for houses to be rented for the family, and the family finally moved to the Mansion of Bahjí around 1879 when an epidemic caused the inhabitants to flee. She was greatly respected and admired by the Bahá’ís and known for her keen sense of humour, kindness and compassion. Ásíyih personally helped women and children of Acre who were struck with illness nursing them to health. Though she was dainty and off little strength she nonetheless served the household and pilgrims with the help her daughter and Bahá’u’lláh. Her health soon swiftly declined with many of her family believing it was the climate of Acre. And truly the humiliation and reproach which she suffered in the path of God is a fact which no one can refute. For the calamities and afflictions mentioned in the whole chapter are such afflictions which she suffered in the path of God, all of which she endured with patience and thanked God therefor and praised Him, because He had enabled her to endure afflictions for the sake of Bahá. During all this time, the men and women (Covenant-breakers) persecuted her in an incomparable manner, while she was patient, God-fearing, calm, humble and contented through the favor of her Lord and by the bounty of her Creator. Ásíyih died peacefully in 1886, aged 66, with Bahá'u'lláh by her side. Her death was mourned by the populace of Acre; her funeral was attended by Muslims, Christians and Druze people. Bahá’u’lláh remarked that after Ásíyih, his light had been turned to darkness, his joy to sadness and calmness into agitation. Her death was followed by several other deaths which hurt the family: a year later the death of Mírzá Músá, the brother of Bahá’u’lláh, followed by the passing of `Abdu’l-Bahá’s son and Bahá’u’lláh grandson (five-year-old Husayn) only increased Bahá’u’lláh’s mourning. `Abdu’l-Bahá writes that when it came to suffering, his mother "endured with patience and thanked God therefore and praised Him". Though her children were deeply hurt, it was Bahá’u’lláh who was the most affected. He was so grief-stricken that he lost his appetite to eat and was overwhelmed with sorrow. He revealed a tablet in her honour which he extols her virtues writing God "is well-pleased with thee" and that God "hath singled thee out for His own Self, and chosen thee from among His handmaidens". Heart-broken, Bahá'u'lláh wrote a number of writings in honour of Ásíyih. In one revealed shortly after her death, he describes her as his "companion", that she had been faithful at all times, that she had drank from the "chalice" of tribulation and praised her steadfastness and devotion. He described her death as the second most sorrowful event for the Bahá'ís – the first being the death of Khadíjih-Bagum – and that he was overtaken by sadness. He also warns "woe betide" anybody who tries to marginalize her, or question her station. She was originally buried in a Muslim cemetery with her son, Mírzá Mihdí, but in December 1939 her body was removed and reburied on in the gardens below the Arc on Mount Carmel in Haifa in an area now called the Monument Gardens. Monument Gardens, facing north. The tomb of Ásíyih is on the left; of Mihdí on the right. Blessed remains Purest Branch and Master's mother safely transferred hallowed precincts Shrines Mount Carmel. Long inflicted humiliation wiped away. Machinations Covenant-breakers frustrate plan defeated. Cherished wish Greatest Holy Leaf fulfilled. Sister brother mother wife `Abdu'l-Bahá reunited one spot designed constitute focal centre Bahá'í Administrative Institutions at Faith's World Centre. Share joyful news entire body American believers. Shoghi Rabbani. He commissioned two marble monuments to be built made in Corinthian style from Italy. After successfully transferring the remains, Shoghi Effendi reburied the two next to each other in a ceremony on Christmas Day of 1939. 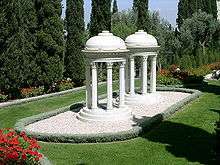 The burial ground is now called the Monument Gardens the burial ground of the Bahá’í "holy family" namely the wife, son, daughter and daughter-in-law of Bahá’u’lláh. Mirzá Mihdí, Bahá'u'lláh's youngest son by Ásíyih to survive infancy. Bahiyyih Khánum, Bahá'u'lláh's daughter by Ásíyih. Munirih Khánum, daughter-in-law by Ásíyih and wife of `Abdu'l-Bahá, Ásíyih's eldest son. `Abdu'l-Bahá, eldest son of Ásíyih and Bahá'u'lláh. Shoghi Effendi, grandson of `Abdu'l-Bahá, great-grandson of Ásíyih and Bahá'u'lláh, and the Guardian, or head, of the Bahá'í Faith. Rúhíyyih Khánum, wife of Shoghi Effendi. Khadíjih-Bagum, wife of The Báb. ↑ Bausani, Alessandro (1989). "'Abd-al-Bahā' : Life and work". Encyclopædia Iranica. ↑ Woodlock, Rachel (2009). "Babi and Baha'i (Bahai) religions". Knol. ↑ "Tablets of Abdu'l-Bahá `Abbás". Bahá'í International Community. Retrieved 2008-07-05. Balyuzi, H.M. (2000). Bahá'u'lláh, King of Glory. Oxford, UK: George Ronald. ISBN 0-85398-328-3. Blomfield (1956). The Chosen Highway. London, UK: Bahá'í Publishing Trust (published 1975). ISBN 0-87743-015-2. Bowers, Kenneth E. (2004). God Speaks Again. Baha'i Publishing Trust. pp. 165, 210. ISBN 978-1-931847-12-4. Britannica (1992). "The Bahá'í Faith". Britannica Book of the Year. Chicago. ISBN 0-85229-486-7. Cole, Juan (1998). Modernity and the Millennium. Columbia University Press. ISBN 0-231-11081-2. Effendi, Shoghi (1944). God Passes By. Baha'i Publishing Trust. ISBN 0-87743-020-9. Effendi, Shoghi (1947). Messages to America. Baha'i Publishing Trust. Khan, Janet (1998). Advancement of Women: A Bahá'í Perspective. Bahá'í Publishing Trust. ISBN 0-87743-269-4. Momen, Moojan (2007). Baha'u'llah: A Short Biography (PDF). Oneworld Publications. ISBN 978-1-85168-469-4. Phelps, Myron Henry (1912). Life and Teachings of Abbas Effendi. New York: GP Putman's Sons. pp. xliii, 78, 90. Rabbani, Ruhiyyih (1958). The Passing of Shoghi Effendi. London: Bahá'í Publishing Trust. Rabbani, Ruhiyyih (1952). The Bahá'í World. Baha'i Publishing Trust. Smith, Peter (1999). A Concise Encyclopedia of the Bahá'í Faith. Oxford, UK: Oneworld Publications. ISBN 1-85168-184-1. Taherzadeh, A. (2000). The Child of the Covenant. Oxford, UK: George Ronald. ISBN 0-85398-439-5. Morier, James (2005). The Adventures of Hajji Baba of Ispahan. Cosimo Classics. ISBN 1-59605-263-5.